Changing the attitudes and behaviours that drive family violence is a challenge of a lifetime. Tracey Gaudry, CEO Respect Victoria. 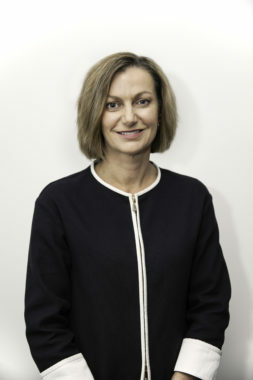 Tracey Gaudry, CEO of the state’s first organisation focused on primary prevention of family violence, has impressive runs on the board when it comes to cultural change. Her successful stint changing attitudes as CEO of the Amy Gillett Foundation saw her work with many of the stakeholders she’ll need to work with as Respect Victoria’s inaugural CEO. Starting out as a research analyst in epidemiology; this two-time Olympic cyclist knows breaking the cycle of family violence is a long game. Perhaps a high-performance mindset from board level down could be the formula needed. Martine Harte: Respect Victoria launched yesterday and yourself, Chair Melanie Eagle, and the board went straight from the launch into your first board meeting, how did that go? True to our word we did hold a board meeting fifteen minutes after the launch and that was purposeful because we haven’t got a moment to waste. It may have taken many, many years to get to the start line of amplifying the work that has already been done in the early intervention and response stages and the work that’s been created in the prevention space but it’s pretty important we get started as a leading organisation in the prevention space for Victoria. Its sits currently within the Department of Human Services in the Victorian Government and we are in the middle of a process for Respect Victoria to be established as an independent statutory authority. So we’re in a transformative stage for the organisation. So a statutory authority akin to the VicHealth model? So VicHealth is a statutory authority, it is still a public entity governed by the government of Victoria, however it stands alone from other departments and this is the model Respect Victoria will take on. It sits as a stand-alone entity, and will report directly to the Minister of the day. So you say Respect Victoria will represent a new era in prevention particularly, if it’s a Statutory Authority. How so? It’s very important that we can engage with the stakeholders in the primary prevention sector, mostly working in intervention and response but moving into primary prevention. Those stakeholders include the Government, Victoria Police, the Office for Women, VicHealth, TAC, so we want to be engaging with the stakeholders. But we also must be able to engage with stakeholders beyond the sector, in a way which will be recognised outright as a peak body and a leading organisation. We must engage the media: sport sector, business and commercial sector,research organisations, universities, we need to be able to engage and establish alliances and one-to-one relationships with organisations who have the ability to impact the community outcomes. The Royal Commission has given you a well sign-posted map to build a more comprehensive system, there were 2,000 pages, surely things are going to change. I know I sound glass half full, but surely this is the time. It is the time. More than 200 recommendations in the Royal Commision and the establishment of Respect Victoria is recommendation number 188. It is a key recommendation and Respect Victoria will take responsibility for many of the other recommendations but also play an oversight role and a co-ordination role to facilitate a suite of recommendations being implemented and measurement of the outcomes for delivery of those. One of the primary roles is to play a galvanising, facilitating role towards outcomes in our community that reduce family violence. You mentioned in your speech organisations who have successfully managed to change the culture, Drink and Drive campaign etc? Is that the type of approach you are thinking of taking? In the community it’s about how do we impact culture, that then impacts attitudes, that then flows on to behaviour. So we will be looking towards organisations that have successfully implemented community wide behaviour change initiatives, so that the issues the are prevalent in the community today are not realised tomorrow. Vichealth, TAC (particularly in road safety prevention) whilst the subject matter is different, the behaviour change programs that range from awareness to education to legislation that then flows into road rules for example. It’s about looking at the suite of change that is needed to adapt our behaviour and that then becomes subconscious behaviour. We know you as a professional cyclist and you have represented Australia at two Olympic Games. Where did you start out? I actually started as a research statistician in epidemiology so the apple doesn’t fall far from the free. So having a statistics degree and understanding (because a big part of the work of Respect Victoria will be to co-ordinate research alliances to understand what’s already been done in the prevention spaces of family violence. Both here in Victoria, Australia wide and internationally we want to build on that research and understand the gaps in the system. It’s critical that we understand that space. 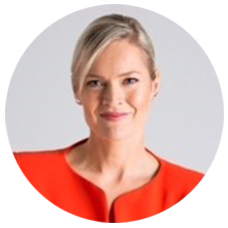 Before this interview I did a Google search (as you do) and I see you were the first woman to be appointed CEO of an AFL club and then came the headlines, ‘Sacked – five months into the job.’ We’d like to set the record straight. Was your departure gender driven or a personal issue? Thank you for the opportunity. If we can just take a step back in all of our lives as individuals and members of a community, one thing that we learn is that life is not a straight line curve whether that be personal life or your career and certainly for me as a career person, the path I’ve followed has not been a straight line. As an elite sporting athlete – and having had a very serious medical illness very early on in life my skills and education would allow me over time to deliver more back to the community at the Amy Gillett Foundation. My appointment to Hawthorn Football Club; I must say I’m very proud on behalf of women in the community. I’m very proud on behalf of diversity, to have been appointed as CEO firstly coming from outside the AFL sector was very important and then secondly, gender. That appointment came at a time when we experienced as a family almost a tragic outcome with my husband falling seriously ill with heart failure on day two. And so over the ensuing the months, the pressure to perform as CEO, not only in the normal spotlight as CEO of a Football Club but the spotlight on being ‘first’ at a time when the club was going through considerable change, and at a time when on a personal front we were in a position that we didn’t know whether our children were going to have a father who was going to come home, or a wife whose husband was going to come home from hospital. The pressure of being able to keep all those balls in the air came to a point when that was too great. And by the end of the season of football, personally I was literally taking things off my plate as a professional and individual, there were other roles that I stepped away from in September. It was a cause of wrong place at the wrong time and despite our valiant efforts we decided to part..
Victoria’s Minister for Prevention of Family Violence Natalie Hutchins remarked the goals are not going to be achieved in five minutes, possibly not even if five years, what do you say to that? I would say that’s an unfortunate reality. The notion of quick wins would be around establishing alliances and partnerships that work together that we respect what’s come before us, that we continue to work with organisations, including the Office for Women, against commitments already made and the early work is establishing partnerships that will deliver outcomes in the long-term. And the long-term is the reduction of the incidences of family violence and we know that’s a long game. Read our Respect Victoria explainer over here. Learn more about Respect Victoria right over here. Tagged in family violence, Family Violence in Victoria, Launch of Respect Victoria, Respect Victoria, women in leadership.